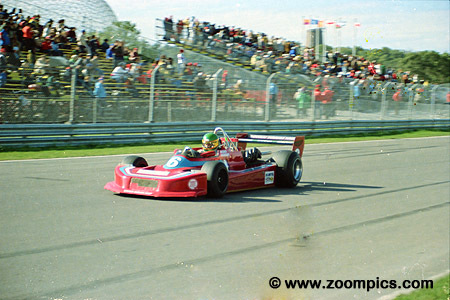 Before a partisan crowd, Jacques Villeneuve won convincingly in the Doug Shierson Racing entered March 80A. Although he qualified on the pole and lead from start to finish there was some drama with back-makers during the race. The win was significant as it gave Villeneuve a four-point lead over defending champion Tom Gloy heading into the season finale at Mexico City. The No. 43 Ralt America RT-4 was driven by Danny Sullivan. Sullivan qualified fifth and benefited from the last lap incident between Steve Saleen and Jeff Wood to capture third at the checkered flag. 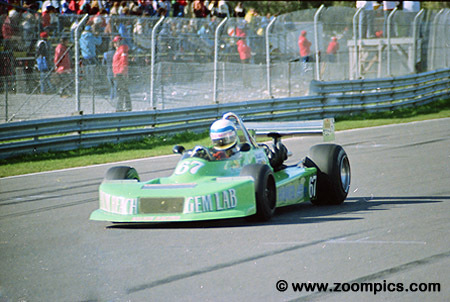 Robert Nelkin qualified eleventh in a March 80A. Unfortunately, his race only lasted 11-laps and he was classified as a non-finisher. 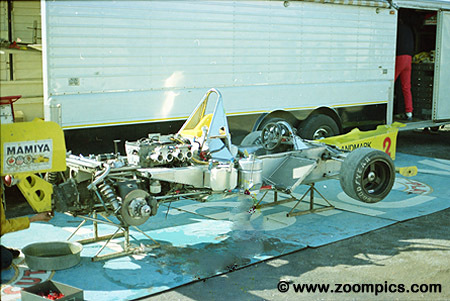 Jeff Wood's Ralt RT-4 without the body work. 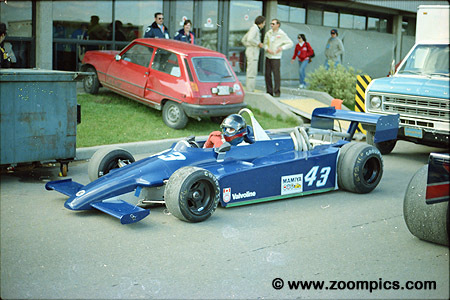 Ralt introduced the RT-2 in 1979 for Formula 2 competition. 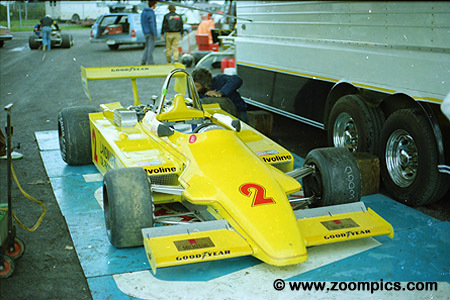 This car formed the basis for the RT-3 used almost exclusively for Formula 3 and the RT-4 which was a popular choice for the Atlantic series. The competitiveness of the RT-4 soon made other brands obsolete. It remained the dominant car until the Swift DB-4 was introduced. 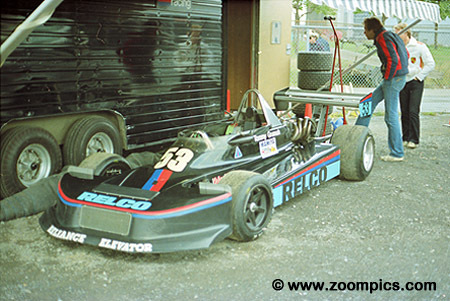 Bob Earl qualified his Ralt RT-1 in sixth. 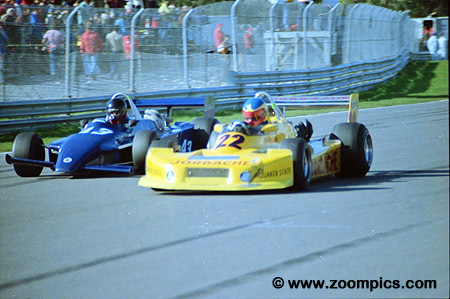 By the mid-point of the race he had moved to third behind Villeneuve and Gloy. When Gloy pitted with a slowly deflating left rear tire, he inherited second. 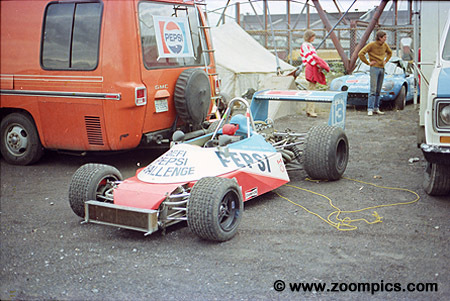 Unfortunately, he retired on the lap-33 after a collision with the Ralt RT-1 of Kent Combs. Jeff Wood qualified fourth but an early pit stop dropped him back several places. On the last lap he found himself in a tight battle with Steve Saleen. Going into the north hairpin they tried to out-brake each other and collided. Saleen recovered first to take fourth and Wood crossed finish line in fifth. 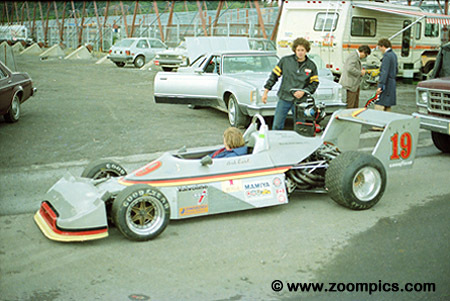 Local racer Jean-Pierre Alamy was one of six Canadians entered in the event - also from Quebec, there was Jacques Villeneuve, Mauro Lanaro and Michel Provost. Representing western Canada was Colin Tuckey and Bob McGregor. Alamy started twentieth and finished thirteenth. Tommy Grunnah did not get a qualifying time in the Relco March 80A. However, starting at the back of the grid he moved up to finish twelfth - one lap behind the leaders. Price Cobb in the No. 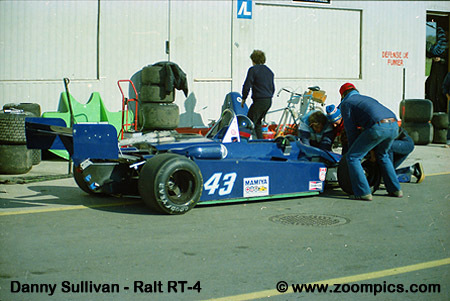 22 March 80A duels with Danny Sullivan in a Ralt RT-4. Cobb who qualified third jumped into second at the start of the race but was passed on the fifth lap by second place starter Tom Gloy. Cobb later pitted and his day ended when he tangled with John Fowler on lap-19.